TechEagle will help Zomato with drone-based food delivery in India, creating a hub to hub delivery network powered by hybrid multi-rotor drones. Taking their food delivery services to a new level, Zomato has acquired TechEagle Innovations – a Lucknow-based start-up that works exclusively on drones. TechEagle will help Zomato with drone-based food delivery in India, creating a hub to hub delivery network powered by hybrid multi-rotor drones. 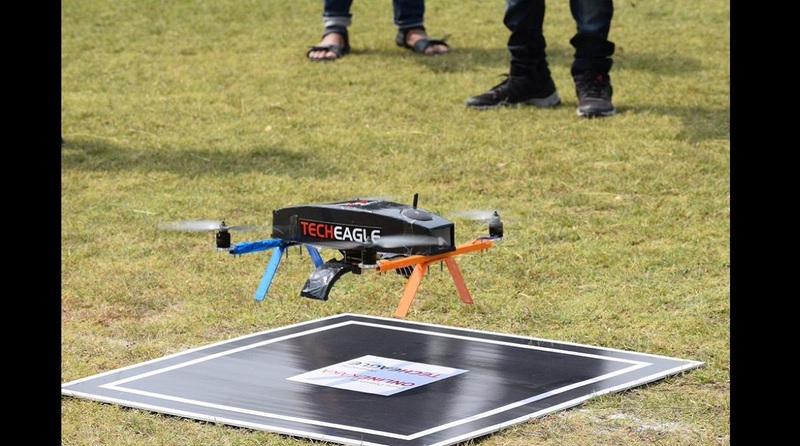 TechEagle was founded in 2015 by Vikram Singh Meena, with prime focus on custom-made drones capable of carrying up to 5 kg payload. Zomato is expanding its online ordering and food delivery business to 100 cities in India and launching its premium subscription programme, Zomato Gold, in Jakarta and Manila. Similarly, HyperPure has had a favourable reception so far and is slated to open its next centre in the NCR in a couple of weeks. Through HyperPure, Zomato has already delivered over 15,000 orders, moved 1500 metric tons of fresh produce and has orders booked for over $6 M per month. Zomato’s corporate catering business, [email protected], has also been expanding into new territories. “Zomato is one of the most innovative technology companies in India, and the only company with a singular focus on food. We are excited to be a part of the team and together build something which will certainly play a significant role in the future of primary and secondary logistics in the food supply chain in India,” said Vikram. Zomato currently delivers 22 million monthly orders and currently boasts of a last mile delivery fleet of 1.5 lakh partners.